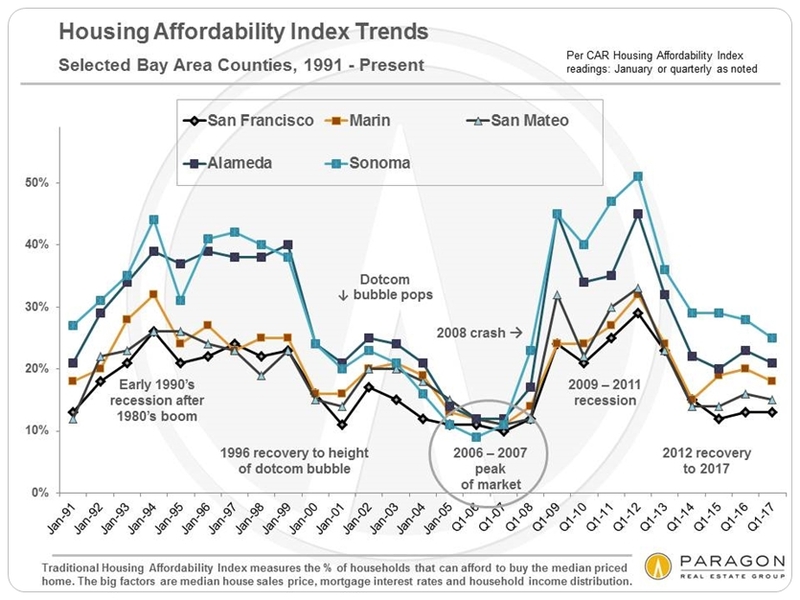 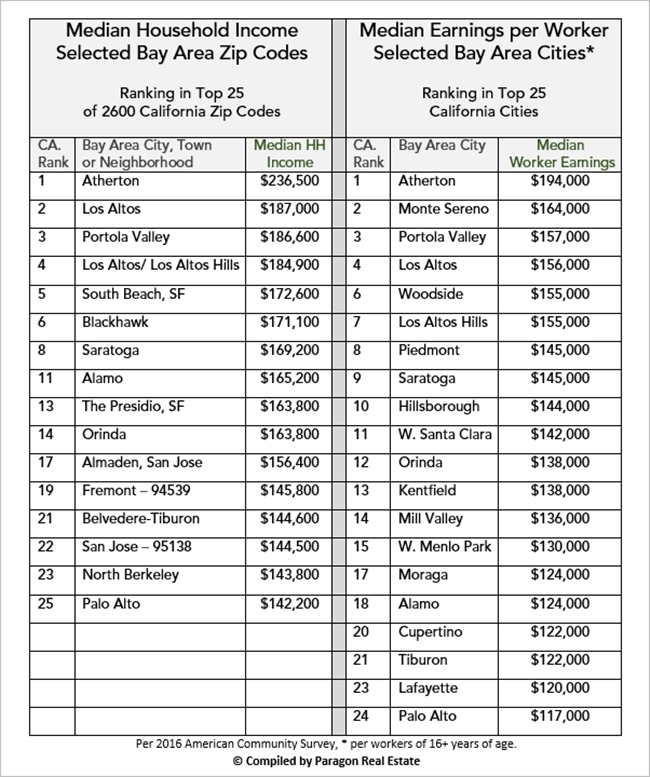 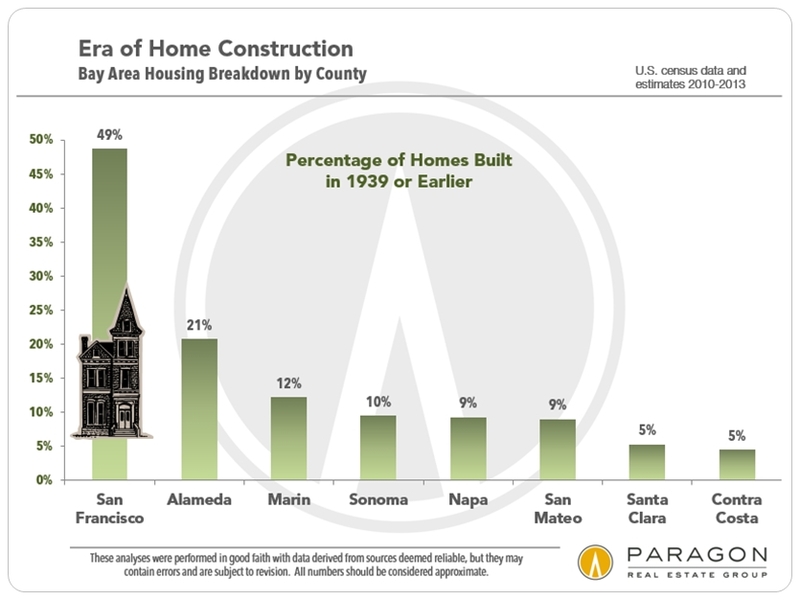 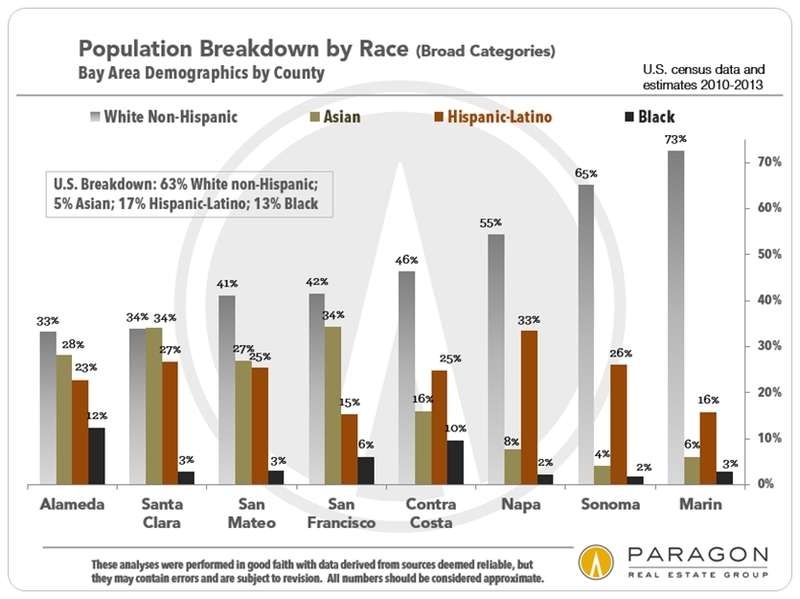 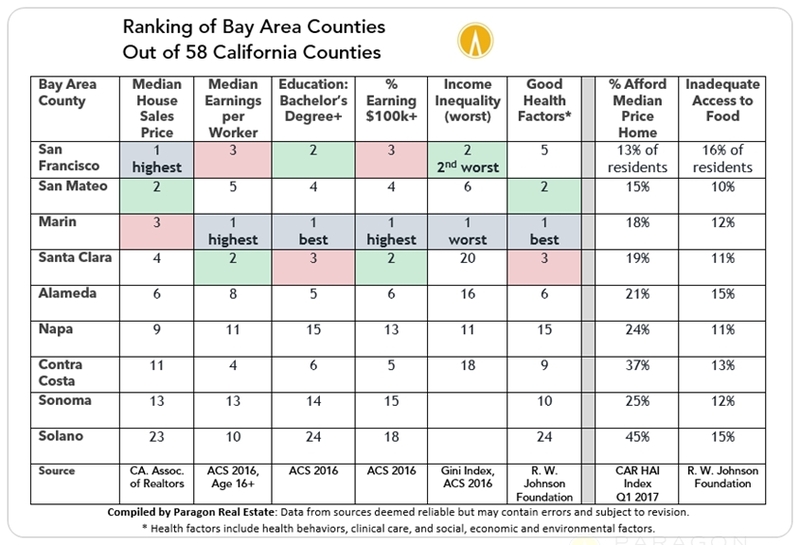 Appreciation trend lines are largely similar across the Bay Area, but some counties have outperformed others. 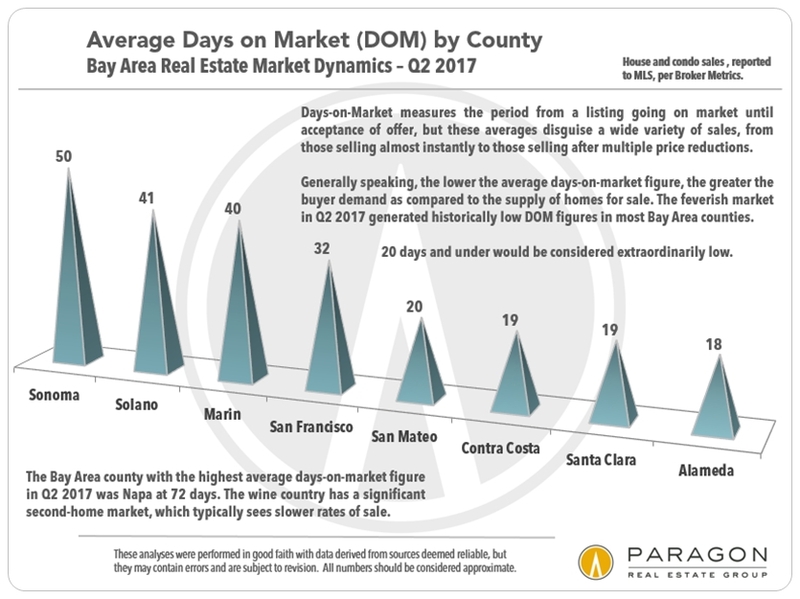 Solano is still well below its previous peak price ten years ago, and Sonoma and Napa are just now coming back up to their previous highs. 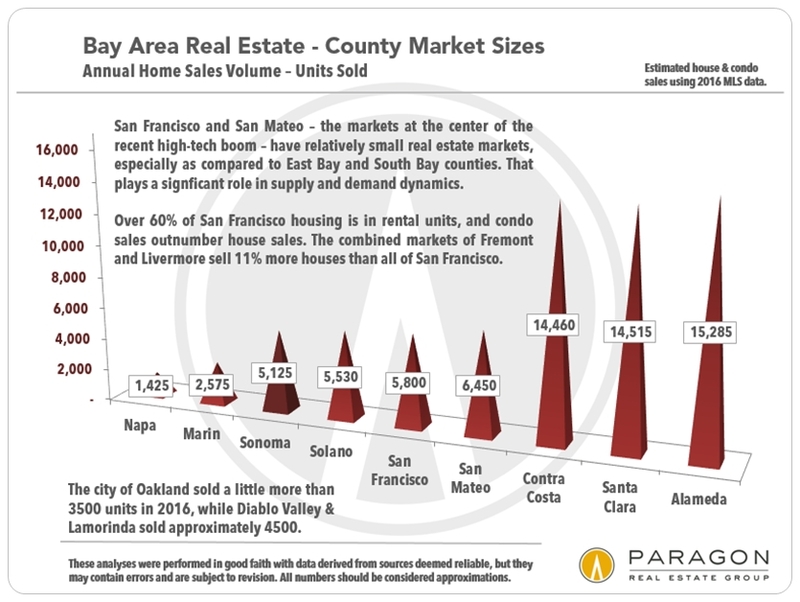 Most of the other counties have exceeded their 2006-2007 peaks, sometimes by very wide margins. 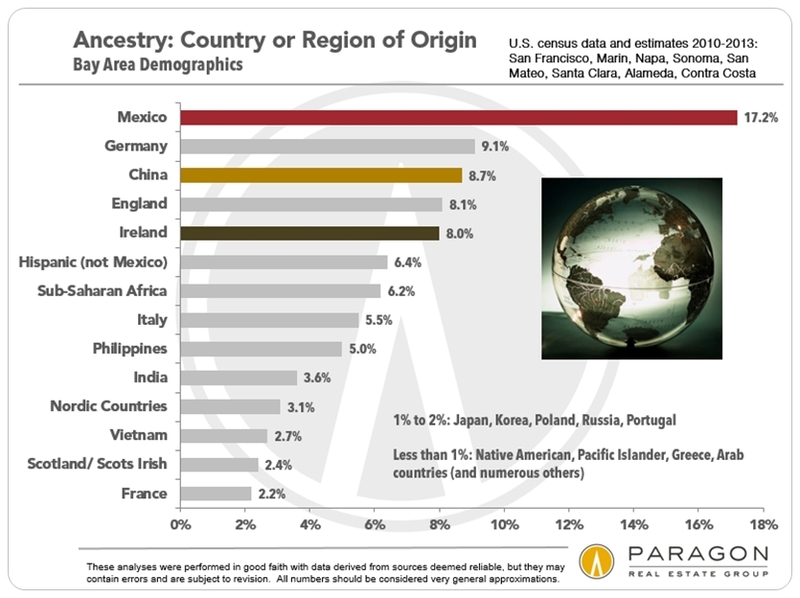 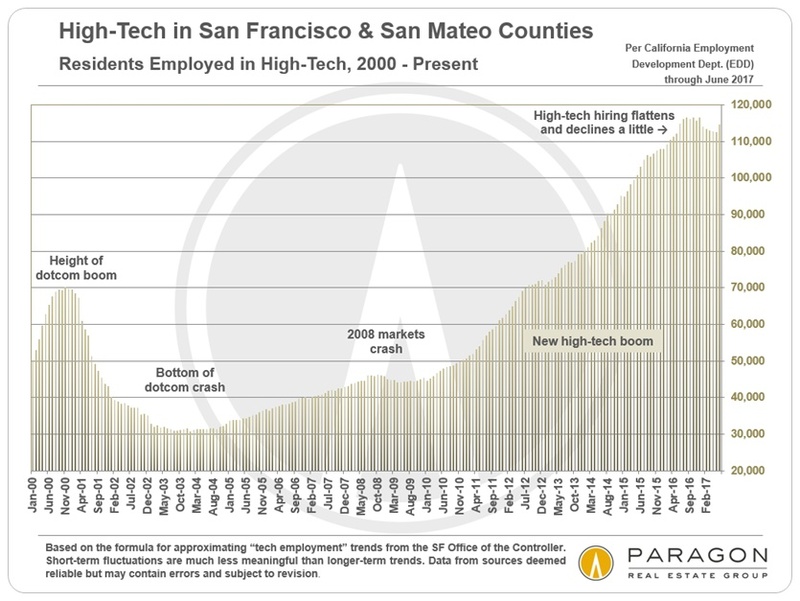 As will be explored further below, proximity to the heart of the high-tech boom has been one of the major factors in recent appreciation rates. 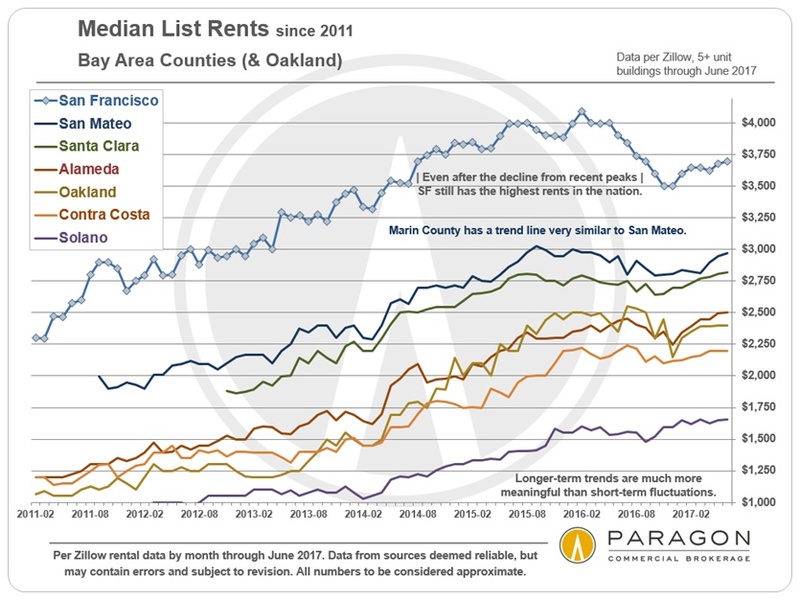 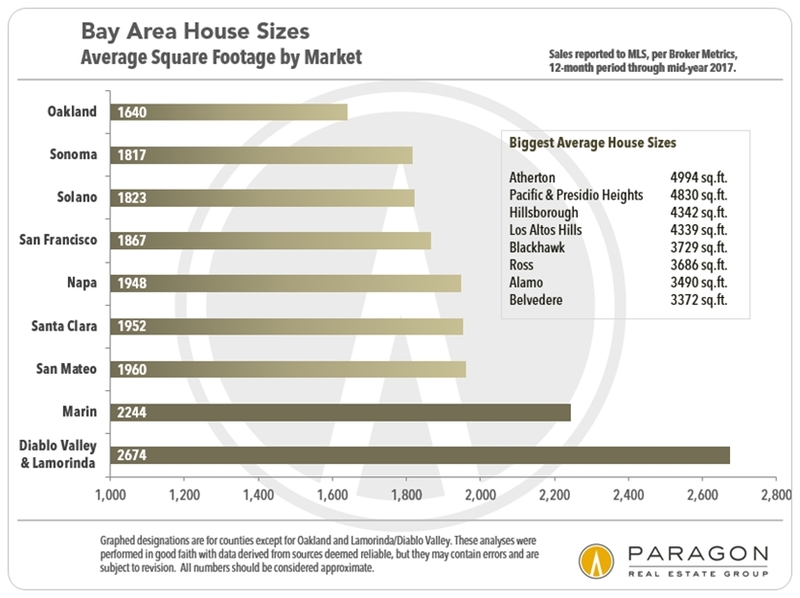 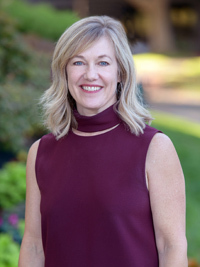 Still, it is worth noting that in the past year and a half, appreciation rates in less expensive towns and neighborhoods have typically been higher than in more expensive areas, an indication of the sometimes desperate search for affordable housing – however that might be defined within the context of any given market. 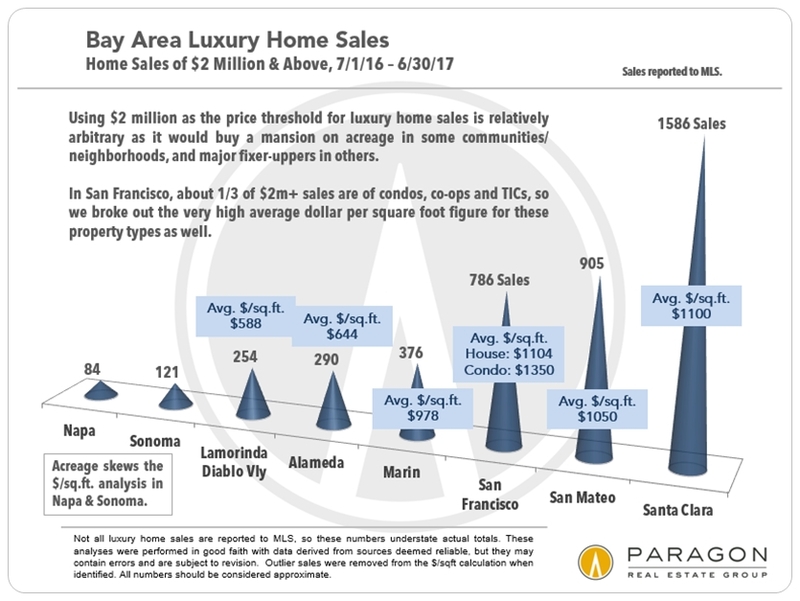 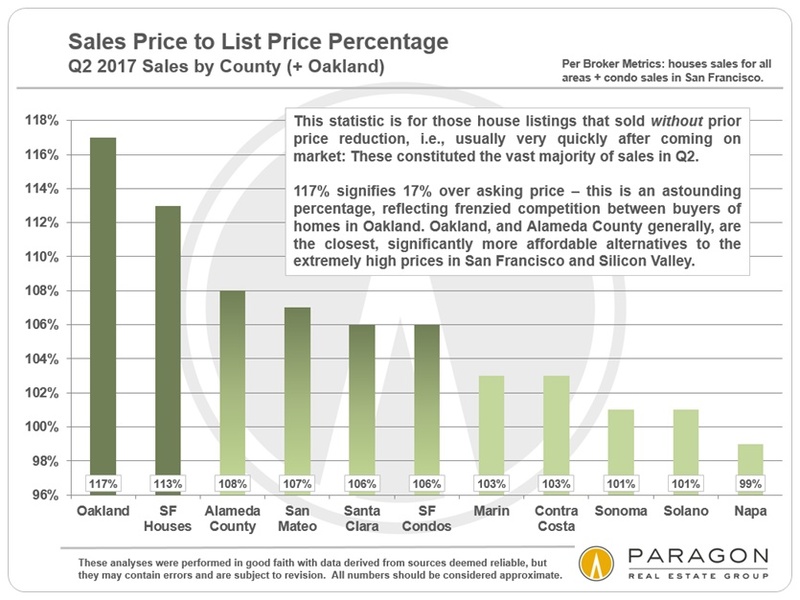 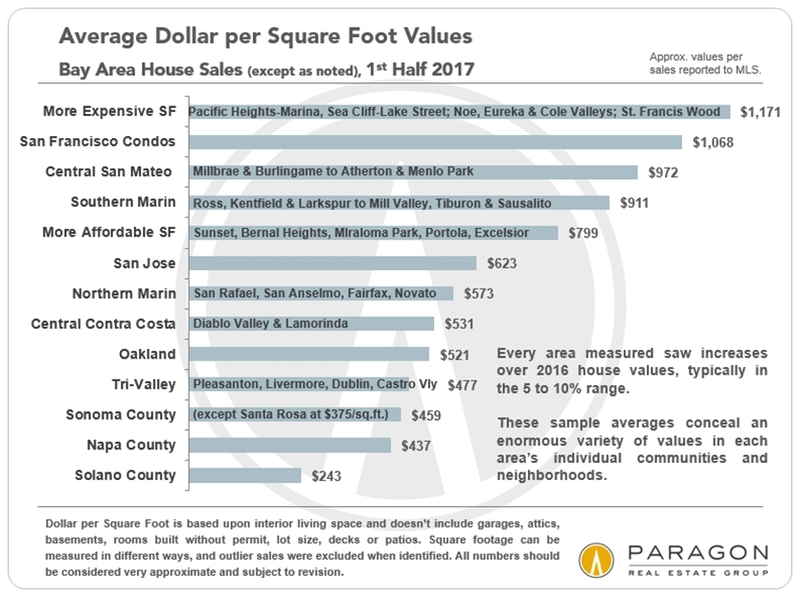 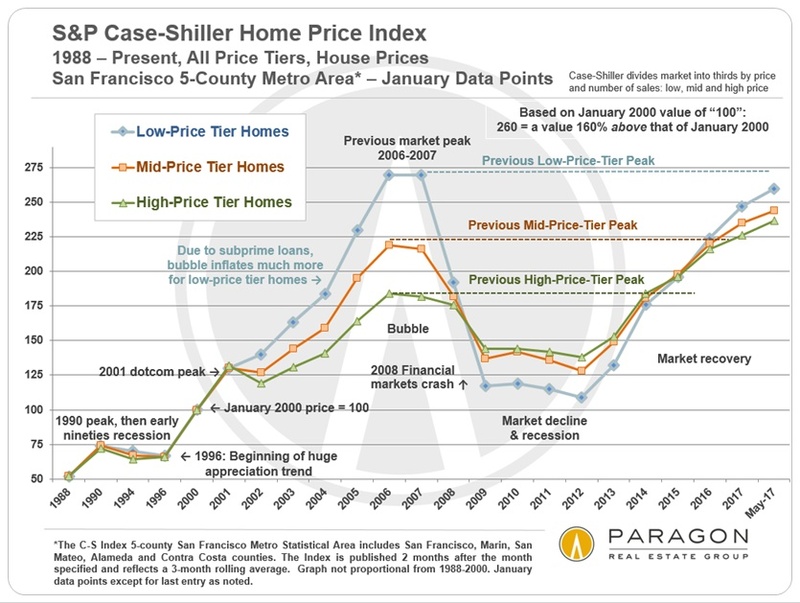 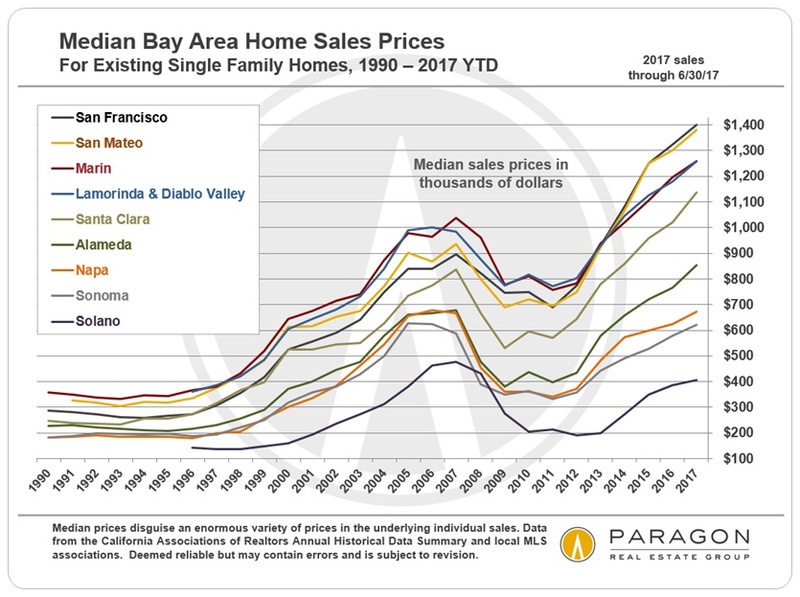 By clicking on map, you can also access our full collection of home price maps delineating current city home prices throughout the Bay Area. 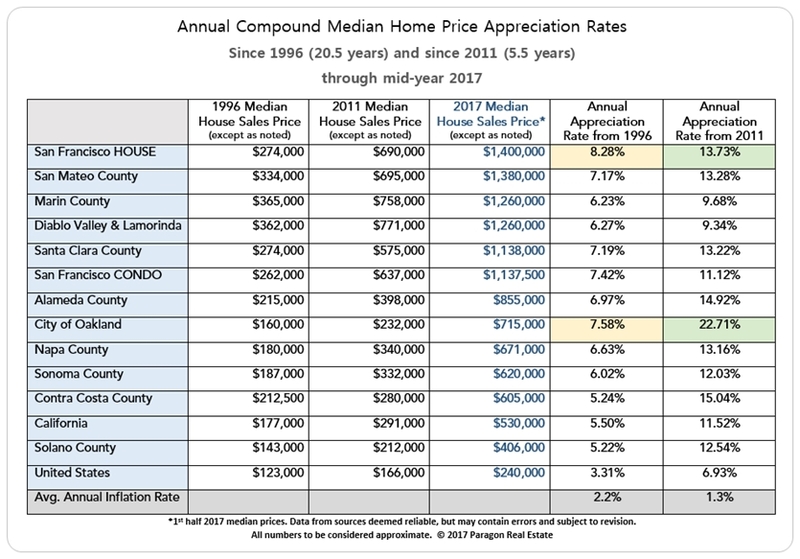 This table below illustrates annual compound appreciation trends going back to the post-recession recovery that began around 1995, and also from the current post-2008-crash recovery which started in 2012. 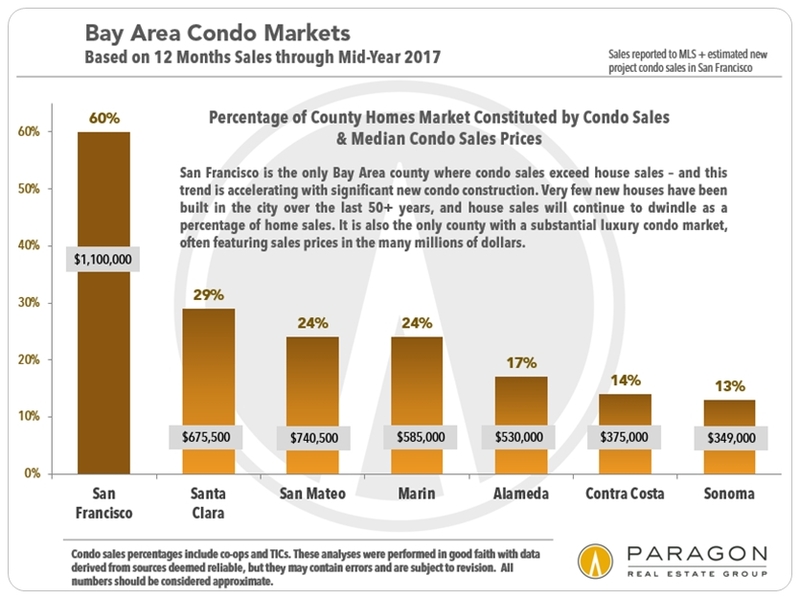 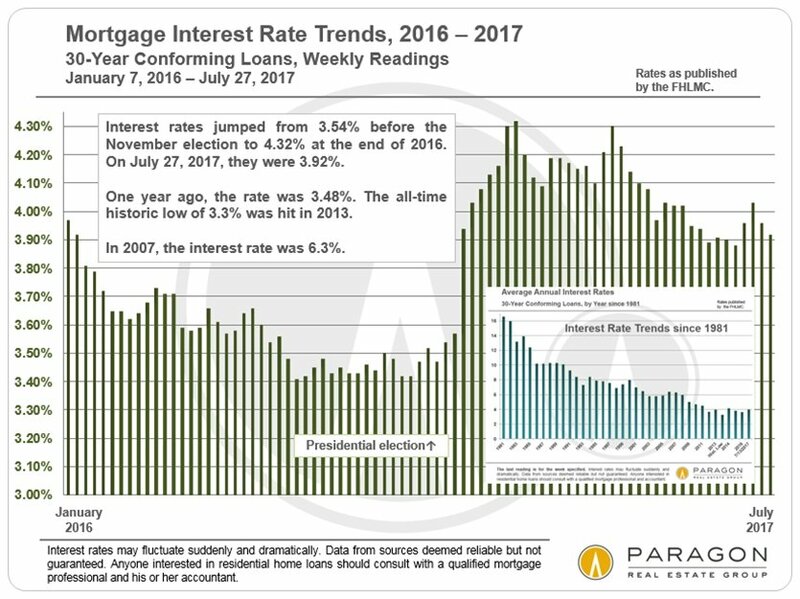 This is based upon someone purchasing their home all cash: If one had purchased with a 20% down payment, then the annual compound rate of appreciation of that cash investment would be much, much higher. 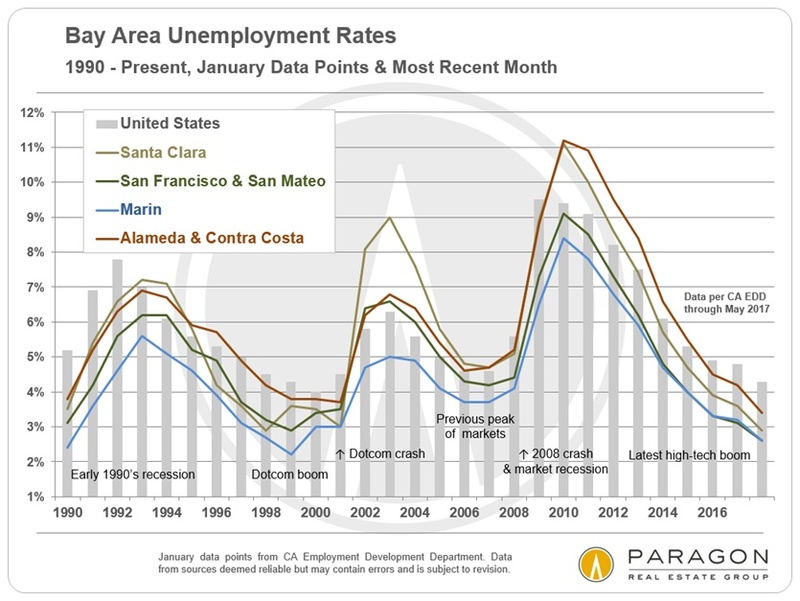 High-tech employment in SF & San Mateo Counties illustrates broader trends in hiring: massive growth and some recent cooling. 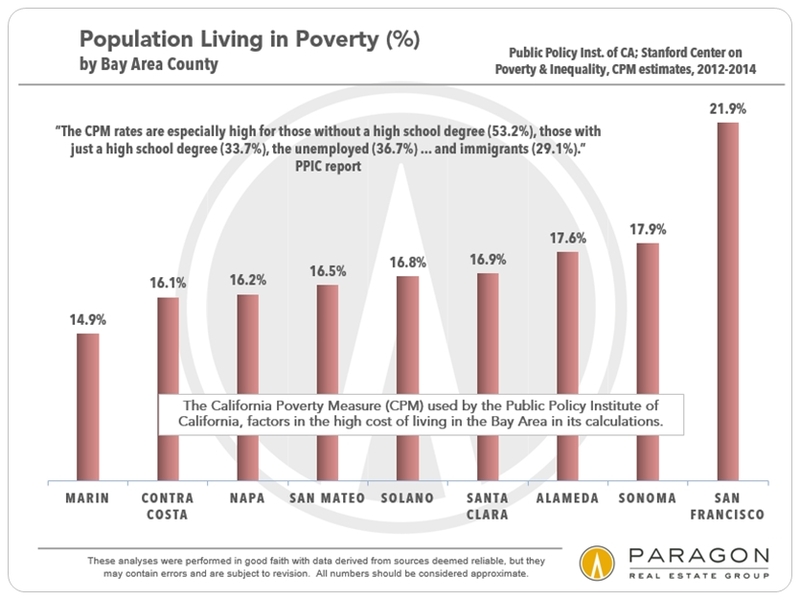 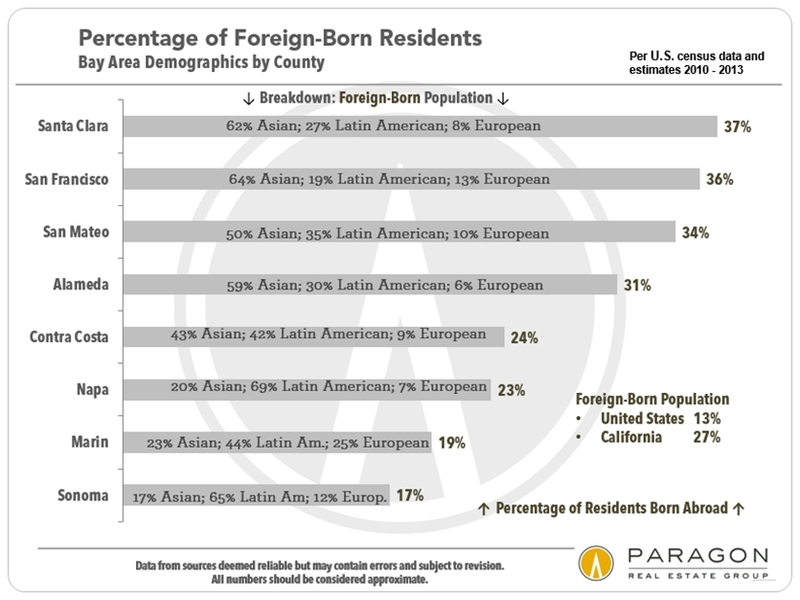 Beneath surging affluence, significant percentages of county populations are living in poverty. 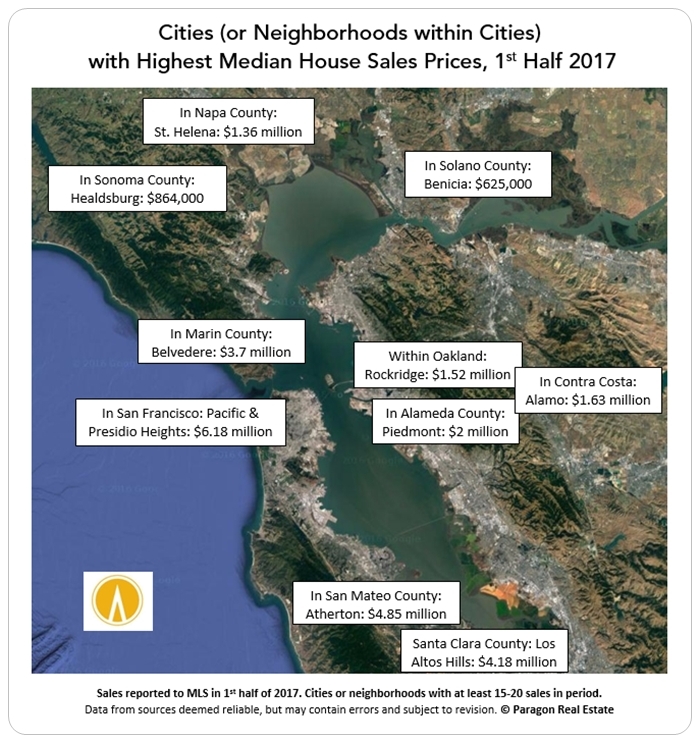 High housing costs are a big factor. 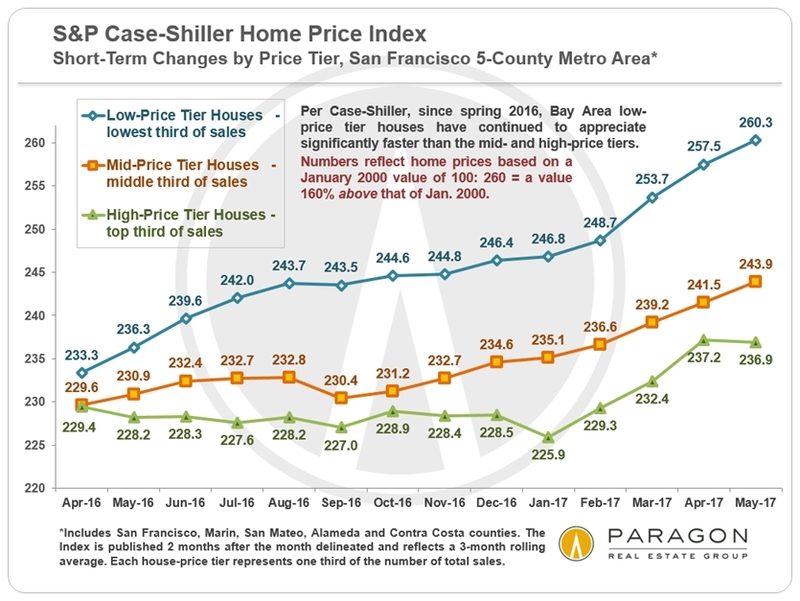 More affordable homes have been appreciating much more quickly in the past 15 months than more expensive price segments.